"A Night Out" is one of Charlie Chaplin's Essanay short comedies, featuring Edna Purviance, a star of Silent Hall of Fame. This is the film, in which Edna Purviance made her debut as a leading lady for Charlie Chaplin. 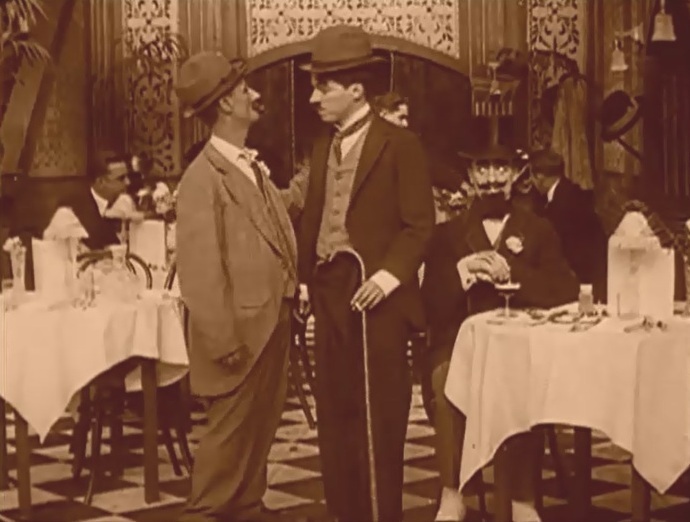 Ben Turpin socializes with Charlie Chaplin as Leo White looks on in "A Night Out" (1915). Edna Purviance meets Charlie Chaplin in "A Night Out" (1915). This is the first scene in her debut as a leading lady for Chaplin. 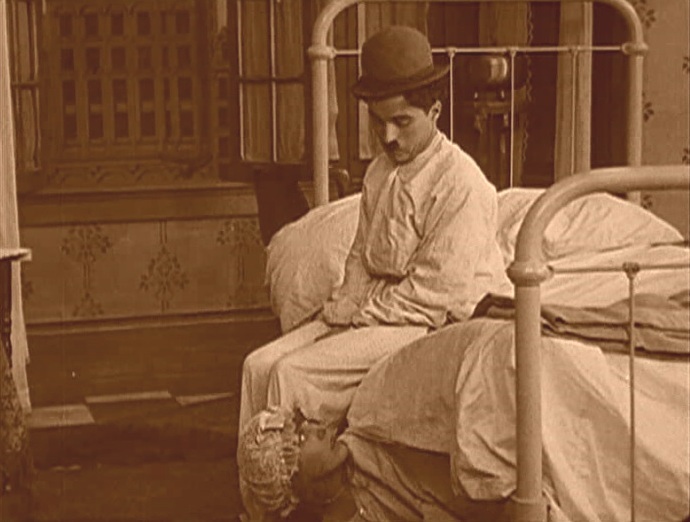 Edna Purviance attracts the attention of Charlie Chaplin, who leans on Ben Turpin in "A Night Out" (1915). Edna Purviance smiles to Charlie Chaplin as Ben Turpin looks on in "A Night Out" (1915). 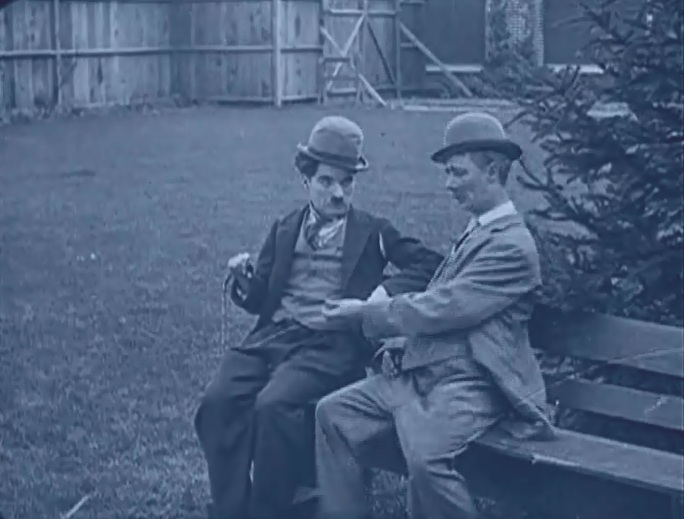 Charlie Chaplin and Ben Turpin have a chat in "A Night Out" (1915). Edna Purviance and Bud Jamison have an argument in "A Night Out" (1915). 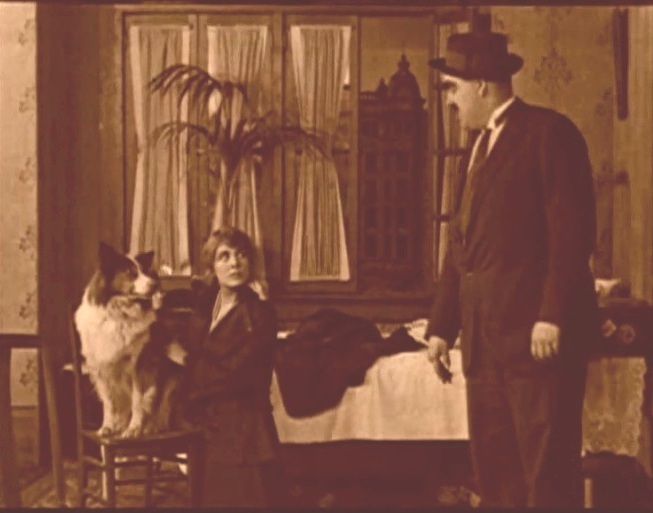 Edna Purviance has some quality time with her collie in "A Night Out" (1915). 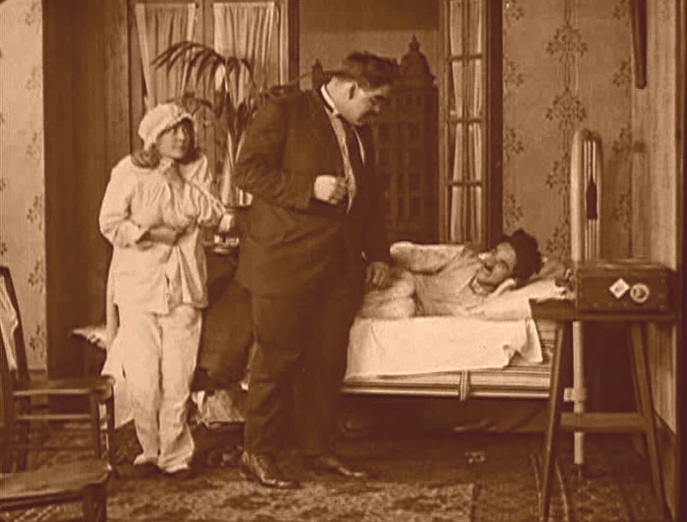 Edna Purviance ends up as a visitor under Charlie Chaplin's bed in "A Night Out" (1915). 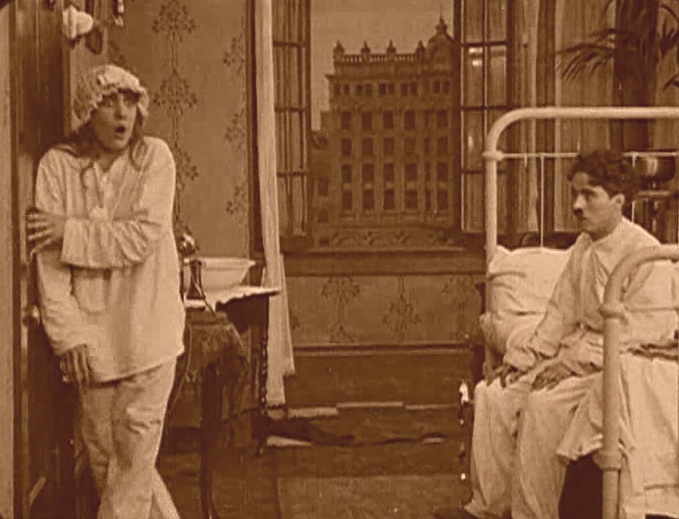 Edna Purviance is not excited to face her husband as Charlie Chaplin looks on in "A Night Out" (1915). Edna Purviance looks on as Charlie Chaplin is not excited to face her husband in "A Night Out" (1915). Edna Purviance and Charlie Chaplin face Bud Jamison in "A Night Out" (1915).